We have all grown up watching Disney princesses on our television. They are not only known for their fairy-tale endings, but for their warm, melodic voices that capture girls’ hearts everywhere. These animated characters were given life on screen by some incredible women we don’t even know about. 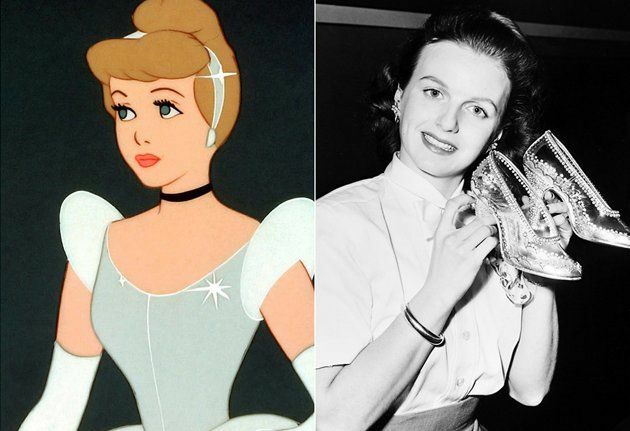 Jacqueline Ruth "Ilene" Woods, was the original voice behind beautiful Cinderella, for which she was named as Disney Legend She was an American actress and singer. Woods started acting at the age of 2 and by 15 years of age, she was hired by Paul Whiteman to sing for his show " The Philco Hall of Fame". A young beautiful girl, who lived in the woods with her seven dwarf friends. One day, she gets cursed to sleep for her entire life, by her step mother who was jealous of her charming beauty. After years her prince arrives, and breaks her life-long curse by kissing her. Ariel has a distinctive appearance, with her long, flowing, bright red hair, blue eyes, green mermaid tail and purple seashell bikini top. She is full of life and a princess too, later she marries Prince Eric. Ariel was voiced by Jodi Benson, who is an American voice actress and a soprano singer. She portrayed Ariel remarkably on screen. later Benson voiced for character Barbie, Toy Story 2, and even won the Academy Award for Toy Story 3. Belle is the fictional character in Walt Disney's animated feature film ' Beauty and the Beast'. Belle was a village girl, talked to dishes and tamed beast . Princess Jasmine is a fictional character who appeared in Walt Disney Pictures' animated film Aladdin (1992). She is strong headed, graceful, carpet princess. Linda Larkin and Lea Salonga voiced for Princess Jasmine, it was for the first time that two women have lend their voice for a particular character.